It's finally here! The first 13 episodes of Ray Stevens CabaRay Nashville are now available in a 4-DVD box set. Featuring guest artists like Tanya Tucker, Gene Watson, Larry Gatlin, Charlie McCoy, and, of course, tons of Ray Stevens! 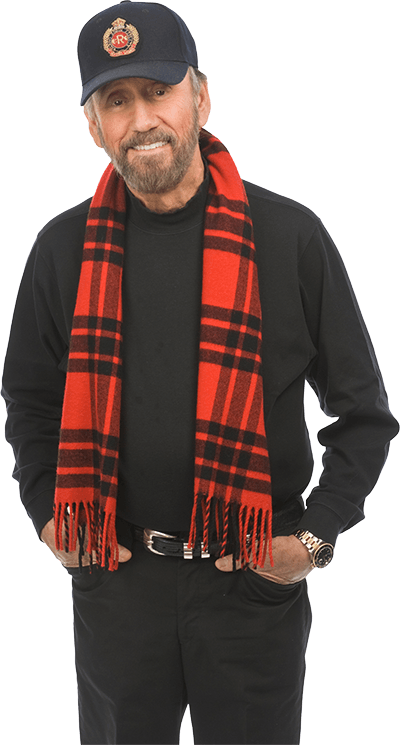 Ray Stevens CabaRay Nashville TV show is a fun-filled musical visit with Nashville Hall of Fame Songwriter, two time Grammy-winning, multi-platinum country and comedy music legend Ray Stevens with his multi-talented celebrity guests. Guests appearing in Season One include such music greats as Tanya Tucker, Gene Watson, John Conlee, Bobby Bare, Larry Gatlin, Steve Wariner, Aaron Tippin, Don Schlitz, Charlie McCoy, Jimmy Fortune, Jeff Bates, T.G. Sheppard and more! Approx. Runtime 5 Hrs. 38 Min. At long last...episode's have made it to DVD!!! The DVD of "Ray Stevens CabaRay Nashville, Season One" arrived in the mail this past Friday (June 16th). It's a 4-disc collection featuring 13 episodes of his television series. Once you play any of the discs there's an advertisement for Ray's website and there's mention of the upcoming CabaRay venue. Ray provides a voice over as his chicken clucking recording of "In the Mood" plays in the background. The main menu consists of various options that a viewer can select. You can choose a "play all episodes" function (4 half hour episodes are featured on 3 of the 4 discs) and that's the choice I often select on my other DVDs but you can select the "choose an episode" option and pick specific episodes to watch and there's even an option where only the performances are available and that's in the "choose a performance" selection. There isn't a list of the 13 episodes on display on the back of the DVD case as a previous review also mentioned but in this era of digital media/DVD and Blu-Ray it's become natural to look at the episode list on the main menu of the DVD. I rated the DVD five stars because I think it's in great audio and video quality and the individual disc's are easy to remove from the case! Usually DVD collections that house multiple discs are tightly pressed into the case that it's like walking on egg shells attempting to pry a disc from it's case in the hopes it doesn't break in pieces. The December taping session referred to in a previous review consists of footage currently in post-production and the taped material hasn't yet aired on television. The footage shot wasn't part of 'season one' as that season had already been taped and had aired by the time the December taping session rolled around. 26 episodes of Ray's television program originally aired on RFD-TV between November 2015 and July 2016. The first 13 episodes make up Season One. The second 13 episodes make up Season Two. The show's title changed from "Ray Stevens' Nashville" to "Ray Stevens' CabaRay Nashville" once episodes began airing on local PBS stations in January of this year. It ran for 2 seasons as "Ray Stevens' Nashville" on RFD and it's aired for one season, so far, as "Ray Stevens' CabaRay Nashville" on PBS stations. I hope the episodes that originally aired during it's second season on RFD make it to DVD, too!! The local PBS station isn't going to run the bulk of RFD episodes that aired from May-July 2016. Instead, they're going to air first-run episodes starting July 8th from footage Ray and company taped in 2016 and even some footage from earlier this year. Not having seen any of the programs since Louisville never carried them I ordered expecting more. I was disappointed. The description did not give any of the guests, nor are they listed on the cover. These are ONLY 13 of the programs and 20 were taped. I had been to a taping for this season in December and 7 of the tapings were not on the DVD. I will use it for a Christmas gift but it is not something, I will keep, though I had expected too. You cannot return it unless it is damaged or unopened, which is fine. It is not worth the money.